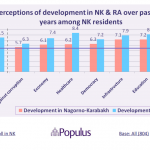 The Nagorno-Karabakh (NK) poll of the first ever internationally conducted Comparative Opinion Polls in Armenia and Nagorno-Karabakh on Socio-Political Issues and Foreign Relations. Like in Armenia, the poll contains questions about NK’s internal situation, Turkey, the NK conflict, the EU, the OSCE and other international players relevant for Armenia. Please click here to download the Executive Summary (pdf document). You can download the full report with charts here. 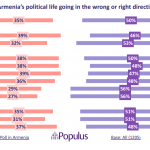 The Armenia poll of the first ever internationally conducted Comparative Opinion Polls in Armenia and Nagorno-Karabakh on Socio-Political Issues and Foreign Relations. 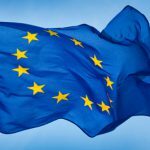 The poll in Armenia contains questions about Armenia’s internal situation, Turkey, Nagorno-Karabakh, the EU, the OSCE and other international players relevant for Armenia. Please click here to download the Executive Summary (pdf document). EuFoA’s policy paper on Association Agreement negotiations between Armenia and the EU. This paper is, amongst others, the result of a round table on the Association Agreement negotiations, organised by EuFoA in July with Mr Gunnar Wiegand, Director for Eastern Europe, South Caucasus and Central Asia at DG Relex in the European Commission, who is chief negotiator for the talks from the European side. 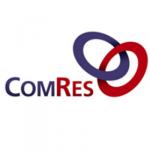 A short paper by EuFoA which combines the result of a poll among 100 MEPs carried out by the British company ComRes in the European Parliament in August 2010 with wider political and policy developments to provide an insight into the views of legislators. A survey conducted by the ComRes EuroPoll panel among 100 MEPs between 19th July and 4th August 2010 regarding the potential EU role in avoiding the outbreak of war in Nagorno-Karabakh (N-K). 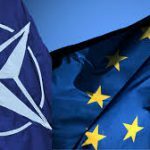 A policy paper presented during EuFoA and NATO joint conference organised in Yerevan during the NATO week. 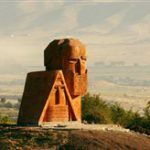 Armenia-Turkey rapprochement: historic turning point or missed opportunity? This paper analyses the current stage of the Armenia-Turkey rapprochement and reflects exclusive inputs from high-ranking officials very closely involved in the process on both sides. It also provides policy recommendations for the EU’s short-term action. 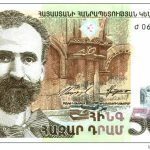 An EU in change: What effects on relations with Armenia? 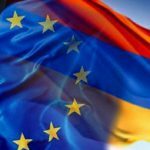 A policy paper explaining the role the EU institutions have in shaping EU-Armenia relations. A short paper explaining the sudden depreciation of the Dram occurred on the 3rd April, as well as its foreseen consequences.